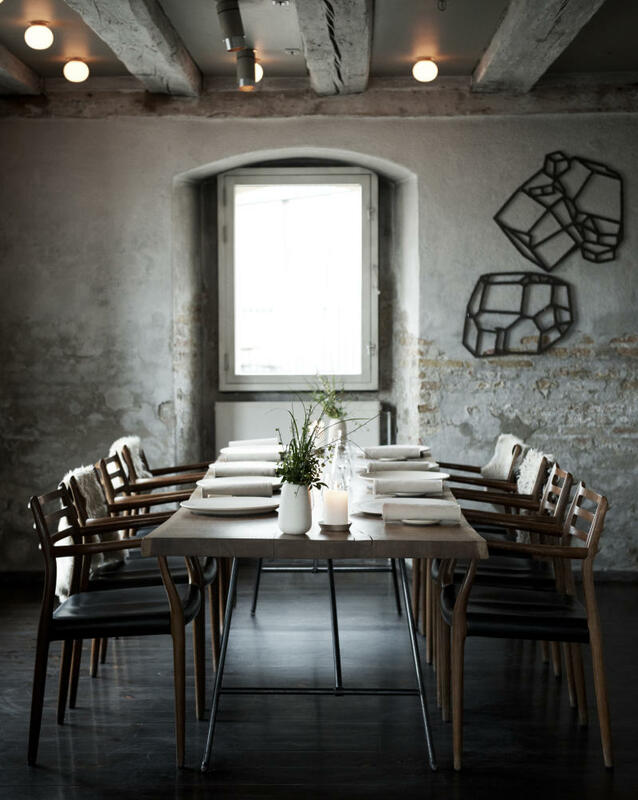 For the third year in a row, chef René Redzepi's Copenhagen restaurant Noma has taken the top spot to be declared the best restaurant in the world. At the 10th annual World's 50 Best Restaurants awards in London Monday night -- one of the most anticipated events of the culinary calendar year -- Redzepi cemented his position as the "standard bearer for the New Nordic movement" after his restaurant took home the grandiose title of best in the world. Redzepi is quickly following in the footsteps of Ferran Adrià, whose now-shuttered Catalan restaurant El Bulli topped the list five times and who became widely accepted as the best chef in the world. This year's list, meanwhile, offered few surprises as the top three restaurants remain unchanged from 2011: after Noma comes El Celler de Can Roca and Mugaritz, both in Spain. It's been a banner year for Redzepi. In April, the Danish chef graced the cover of Time magazine as a "Locavore Hero." Redzepi has also been tapped to open a pop-up version of his restaurant in London to mark the Olympic Games. Unlike the star-based Michelin system, restaurants that land on the World's 50 Best list are voted on by a panel of more than 800 food critics, chefs and restaurateurs. The Academy is divided into 27 separate regions around the world and each region has a panel of 31 members. Each member gets seven votes, three of which must be for restaurants outside their region. Voters must have eaten in the restaurants they nominate in the last 18 months. Under Michelin, stars are handed out based on the single opinions of inspectors, most of whom are hotel school graduates with five to 10 years of experience in the industry. Unlike the World's 50 Best, which takes into account the entire dining experience from décor to service, Michelin stars are awarded based solely on what's on the plate. Here are some of the other highlights from The World's 50 Best Restaurants awards, hosted by Restaurant magazine in the UK. - Spain landed five restaurants in the top 50 list, including Arzak, whose head chef Elena Arzak was also named the World's Best Female Chef. - The Chef's Choice award went to Mugaritz chef Andoni Luis Aduriz in San Sebastian. The award is voted for by the world's 50 best chefs. - Though British chef Heston Blumenthal saw his flagship restaurant The Fat Duck drop eight spots from fifth position in 2011 to 13th this year, the precipitous fall was compensated by the fact that his new restaurant Dinner by Heston Blumenthal in London shot straight to the ninth spot to take the Highest New Entry award. - Aussie chef Brett Graham's London restaurant The Ledbury also rose 20 places from No. 34 to No. 14 this year, to take the Highest Climber award. - Quay restaurant, which overlooks the Sydney harbor, took home the award for Best Restaurant in Australasia. - The US was represented by eight restaurants on the list this year. Chef Thomas Keller's New York restaurant Per Se was awarded the Best Restaurant in North America. He is also the recipient of the Lifetime Achievement Award. - Asia had six restaurants on the list, led by Iggy's in Singapore, voted the Best Restaurant in Asia. - Alex Atala's Brazilian restaurant D.O.M. in Sao Paulo claimed the title of Best Restaurant in South America. - La Grenouillère in Montreuil-sur-Mer, northern France was named the 2012 One to Watch. - New this year, the Slow Food UK Award, which recognizes restaurants that support small scale, sustainable producers, was presented to Steirereck in Vienna, Austria.